CRAZY DISCOUNT! Was: $429.95 Now: $319.97! 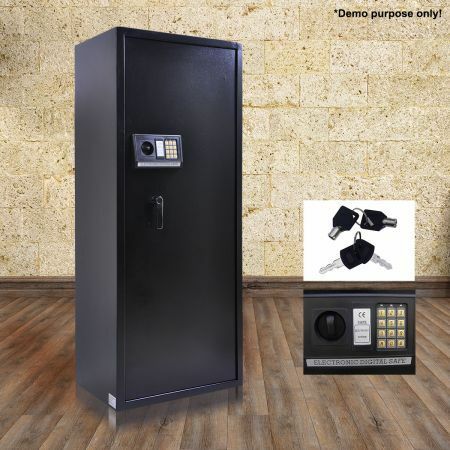 Keep your fire arms secure with this Electronic Lock Gun Safe. 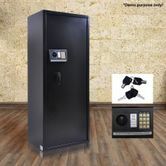 Equipped with a multi-gun rack, an internal ammunition locker with a key and a 5 way external locking system this sturdy safe is perfect storage to ensure your guns are kept safe from thieves or curious children. Decide your own code for this steel constructed security locker which is great for hiding away in the closet of homes or offices. This durable safe is great for handguns, rifles, bullets and any other items you want to keep out of reach with peace of mind.